Okay, call me a hypocrite with my “If I can't make it, I won't eat it” post, but despite the fact that I'm unable to produce my own honey, I think I earn a pass on this one – The Caveman is leaving for TDY and the Armed Forces does NOT feed its boys Paleo-Friendly fare. So I have to send him off with some seriously Paleo, seriously nutrient and calorie-dense foods to satisfy his hunger AND last the trip. Until our Paleokits arrive, that is. This post is dedicated to Molly – who, after coming out of some pretty serious surgery to remove a pancreatic tumor, is delving into the possibilities of a gluten-free lifestyle. 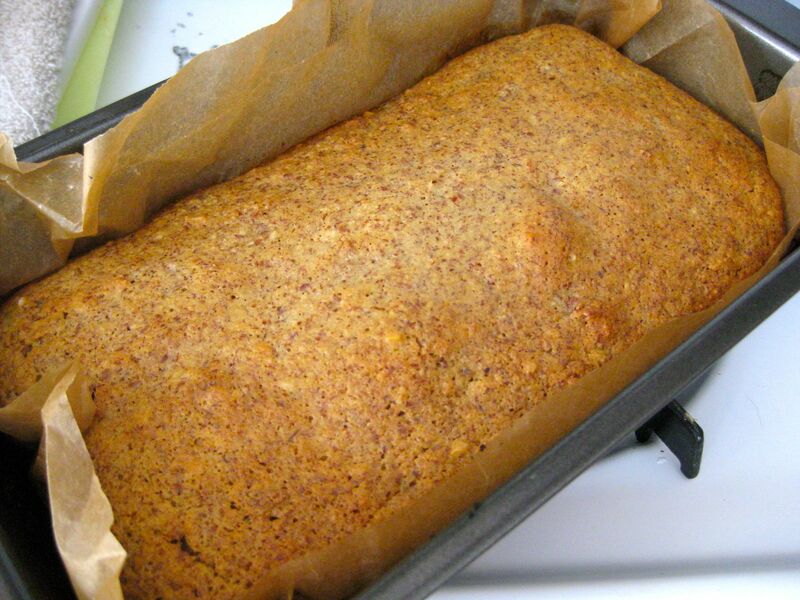 This Banana Bread is delightfully simple and filling. (NOTE: Almond flour is entirely composed of ALMONDS, which have a high fat content and thus, as one gram of fat equals 9 calories, a high CALORIE content, so BE AWARE of how much you're eating. One slice of this bread is enough to make a meal.) In keeping with my interpretation of the Paleo lifestyle, this recipe is used as a rare treat. Coconut oil is absolutely delicious, and I'm told it's one of the only oils boasting fabulous medium-chain triglycerides. 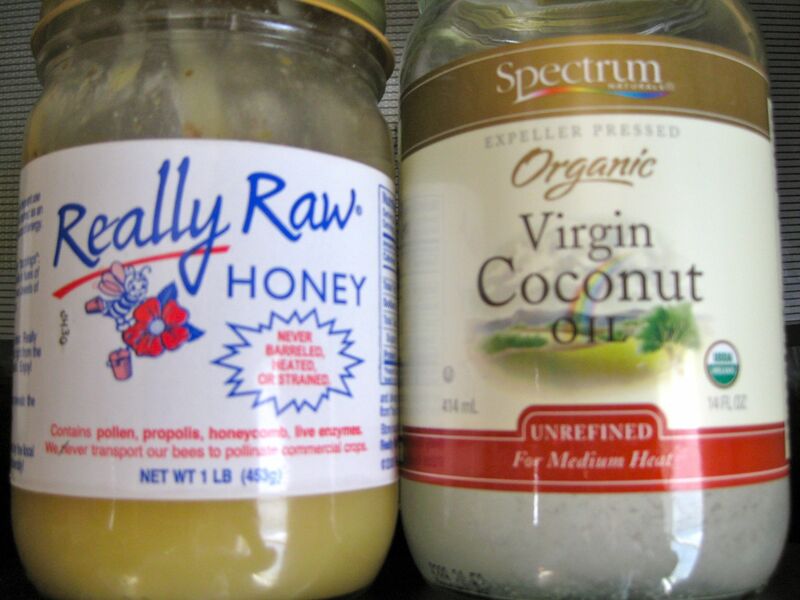 Both raw honey and coconut oil come as solids, but take only moderate heat to soften or melt. You can soften/melt in the jar by running hot water over them. Beat the egg yolks and honey to a light mixture. Add coconut oil, mashed banana and almond meal. 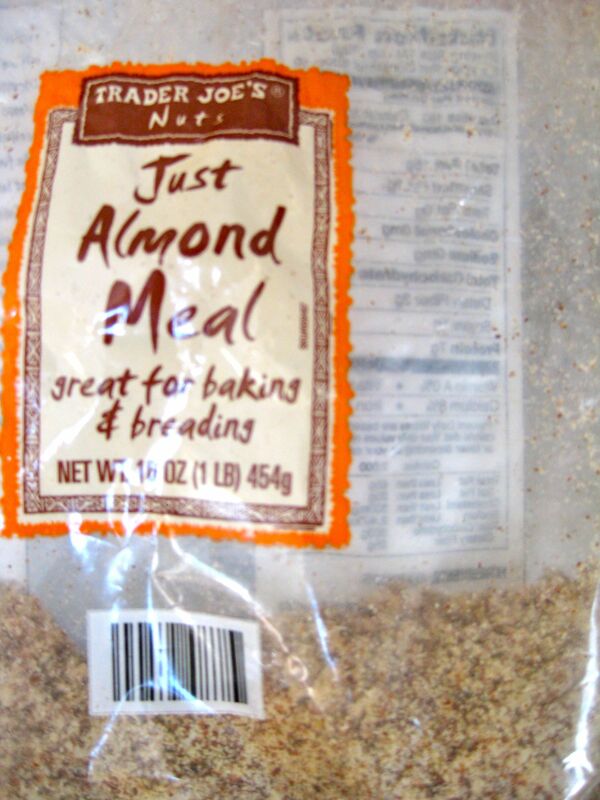 If you can't make your own almond meal by pulverizing unblanched almonds, try Trader Joe's. Beat the egg whites until stiff peaks form. Fold into the almond meal mixture. The beaten egg whites help aerate as you bake, keeping this "bread" moist. I don’t think I’m patient enough to produce these items. But they sound yummy. Feel free to come and make them at my house! Hi Bea! I highly recommend buying Bruce Fife’s book “Cooking with Coconut Flour” and working coconut flour into the routine. I now believe it’s a better source of nutrition than almond flour, which I no longer use. These coconut flour recipes would be perfect for grab-and-go sources of filling, quick nutrition. Thanks so much for the recommendation! I will add it to the must get pile! I am making another batch of the bread tonight. Max loves it and so far it is a win win with his new schedule flying all day with students. 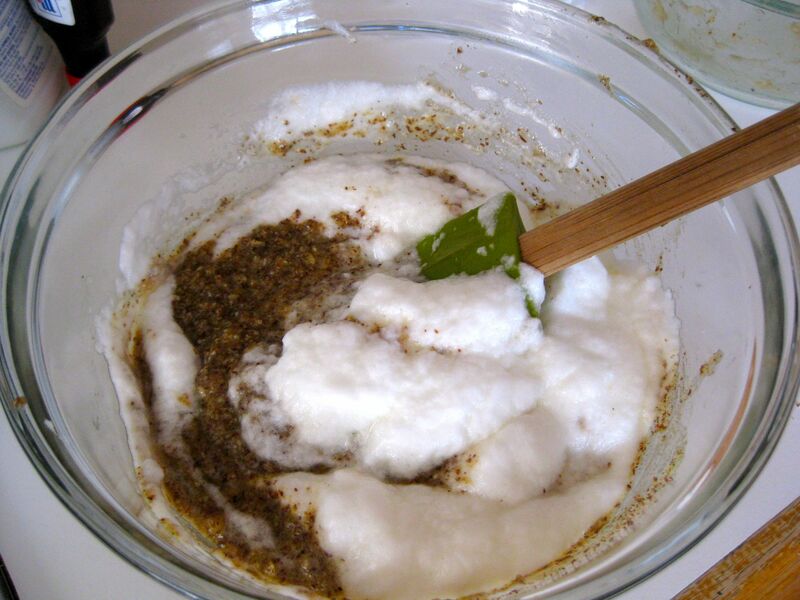 I would love to switch it to coconut flour so that is next experiment ;).